It’s official! 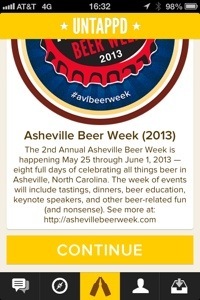 We’re in Asheville for #AVLBeerWeek ! 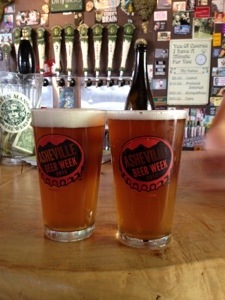 Katie and Myself’s first official beer of Asheville Beer Week. ABA’s Hoppy Saison. 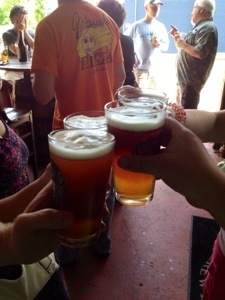 Cheers to a great beer week with Adam & Missy Reinke. Yes, I’ll admit my geekiness. 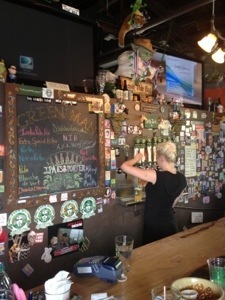 Dirty Jack, Greenman’s tasting room. I’ll try to publish by noon each day. Cheers! 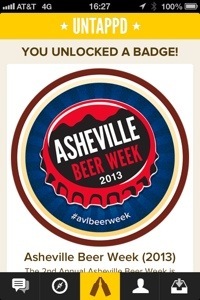 This entry was posted on Monday, May 27th, 2013 at 17:03 and is filed under #AvlBeer, Asheville, Asheville Beer Week, Asheville beercation, Asheville Brewing Company, Beer, Beer City Festival, Beer Festival, beer storage, beercation, drinking, home brew, Knoxville beer blog. You can follow any responses to this entry through the RSS 2.0 feed. You can leave a response, or trackback from your own site.